The Salvation Army is one of the nation’s largest federally recognized emergency disaster services agencies, providing relief to 1-2 million disaster survivors and first responders each year in the United States. 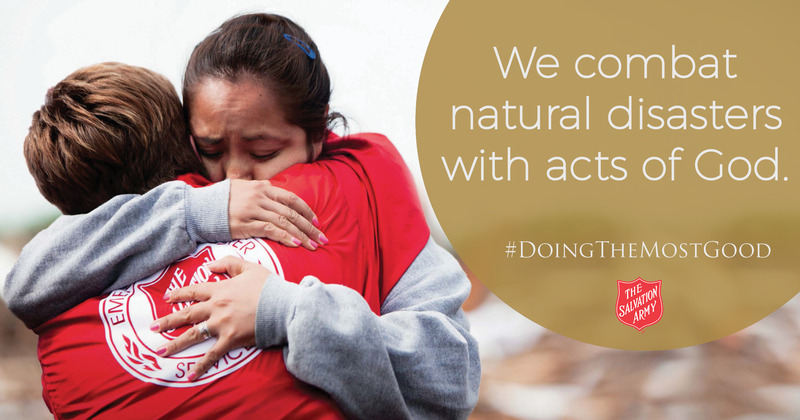 The Salvation Army responds to dozens of natural and man-made disasters across the country each year. 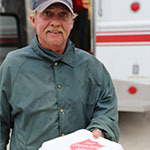 In disaster relief operations, The Salvation Army’s first aim is to meet the basic needs of those affected, both survivors and first responders. All Salvation Army disaster response services are managed locally, by people who live and work in the communities they serve. Our volunteers are fully trained and well-equipped to provide shelter, food, clothing and spiritual comfort. We are prepared to meet specific short and long-term needs of communities. The Salvation Army Empire State Division takes necessary measures to ensure it is able to respond quickly and efficiently to a disaster while also working to educate other disaster professionals and the public at large about how to prepare for and respond to an emergency situation. Maintaining Internal Infrastructure: The Empire State Division maintains a fleet of 8 emergency response vehicles, including mobile feeding units allowing for the quickest response. Disaster Training: The Salvation Army routinely offers training opportunities to Salvation Army staff, partners, and our volunteers. Within the Empire State Division, we have hundreds of volunteers who have successfully completed the minimum training requirements and made the commitment to serve with us. The Empire State Division activates on short notice of an emergency with both personnel and resources. Each disaster creates its own unique circumstances and the Army's response therefore varies from place to place based on the community's situation and level of impact. Food Hydration Service: Food and drink may be prepared, served, and delivered at communal feeding sites orone of the Army's mobile feeding units (also called canteens). Emergency Shelter The Salvation Army may provide shelter in a facility identified by local emergency management personnel, including municipal shelters or Salvation Army buildings. Cleanup: Distribution of cleanup supplies such as mops, brooms, buckets, shovels, detergents, and tarps, and participation in clean-up efforts. Emergency Communications: The Salvation Army helps provide emergency communications when more traditional networks, such as telephones, are not operating. Through The Salvation Army Team Emergency Radio Network (www.SATERN.org) it enables victims to transmit and receive information about their loved ones. 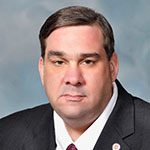 The Salvation Army Empire State Division often coordinates with local, state and federal entities to develop and execute long-term strategic disaster recovery plans. Restoration and Rebuilding: Coordination of volunteer rebuilding teams and establishment of warehouses to distribute reconstruction supplies. Disaster Social Services: The Salvation Army provides direct financial assistance to disaster victims through a system of trained caseworkers. Assistance may be provided to help disaster survivors cover essential living supplies, household needs and disaster-related medical or funeral expenses. In-Kind Donations Management: During a disaster, the Army may establish warehouses and distribution centers to deliver donated goods directly to disaster survivors. When a disaster strikes, The Salvation Army provides spiritual comfort and emotional support to community members and emergency workers coping with stress. Other activities may include comforting the injured and bereaved, conducting funeral and memorial services or providing chaplaincy services.